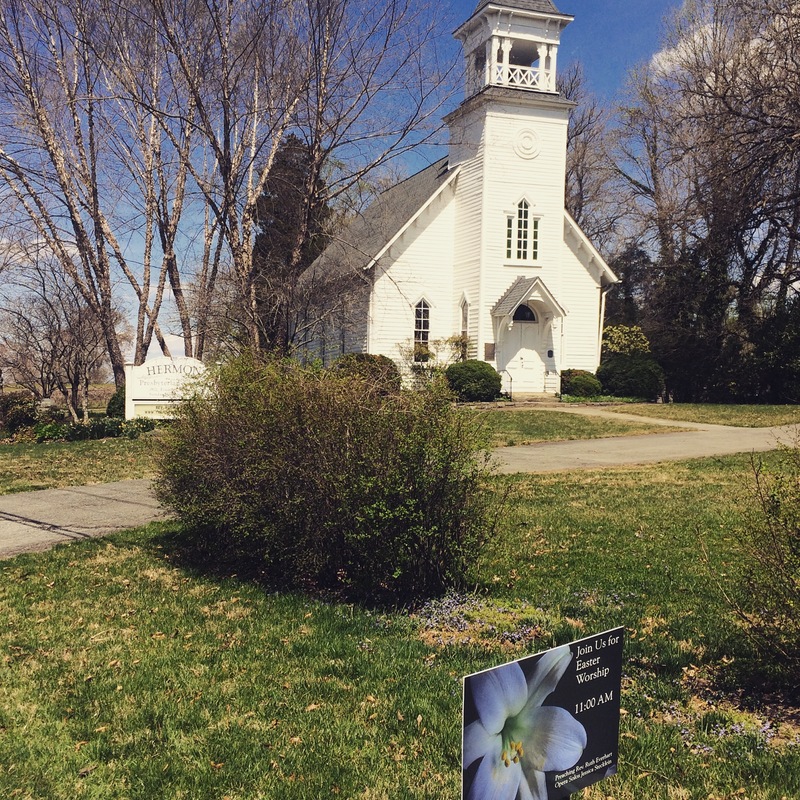 So honored to share news of an award from the Associated Church Press! 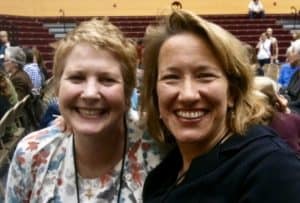 Last year I received two awards from ACP, both in the category of “Reporting and Writing, Personal Experience (Long format)”: an Award of Merit (silver) for A Pastor’s #MeToo Story published in The Christian Century and an Honorable Mention (bronze) for Skin in the Game published in Sojourners. Writing tends to be a lonely business, so recognition is very affirming. It says that people are reading — the effort was not wasted. As we ate supper last night, Doug and I talked about the mosque attack, and I wondered aloud if All Dulles Area Muslim Society (ADAMS), our local mosque was having a service of some kind. We checked online, and a vigil had just begun. So I quickly threw on my clergy collar and off we went. Neither of us grabbed our phones, and I had not a stitch of makeup on. At the prayer room we removed our shoes and went through separate entrances. The prayer room was full to overflowing. Many people stood along the wall in the front, and remarks were just beginning. I found a spot on the floor. But a woman brought me a chair and insisted I take it, which I did, because other women were in chairs as well. Then another woman whispered in my ear that I should go stand in front and say something “if the Spirit moved.” I thanked her, but declined. I was impressed at how well the service flowed, very expedited. The atmosphere was very warm and congenial and the Spirit was present. Everyone clapped as each person was introduced, and again when they concluded their remarks. No one abused their moment to speak. People briefly shared prayers, referenced scripture, often Isaiah 43, or MLK and the arc of justice, or talked about equality and solidarity, how we are all children of God, how this is an attack on all humanity. The woman came back to urge me to go forward. She said it was good for everyone to see another faith leader. She told me where to stand. So I went forward because it seemed impolite to refuse. The woman asked me to text the leader my name and church affiliation and I couldn’t because I didn’t even have my reading glasses. So I handed her my business card. A few minutes later, I heard my name announced. Suddenly I had a microphone in my hand. The prayer room looked quite different from the front than from the back. Instead of a sea of head coverings it was a sea of eyes. On one side of the divider were the women, on the other the men. Children present throughout the room. I said “As-Salaam-Alaikum” and everyone responded “Wa-Alaikum-Salaam.” That greeting felt like putting ground under my feet. I was the last clergy and then the civic leaders began. When all the remarks were over — an hour start to finish — there was a very brief prayer in Arabic. As people left, many women reached out to shake my hand and thank me for being there. It was an honor, I said, and meant it. I marveled at the power of a square of white cloth on the black band around my neck. Now I must follow up and actually become a neighbor. I’m so thrilled to tell you about a new book of poetry by my good friend, Susan Baller-Shepard. The title is simply: DOE. 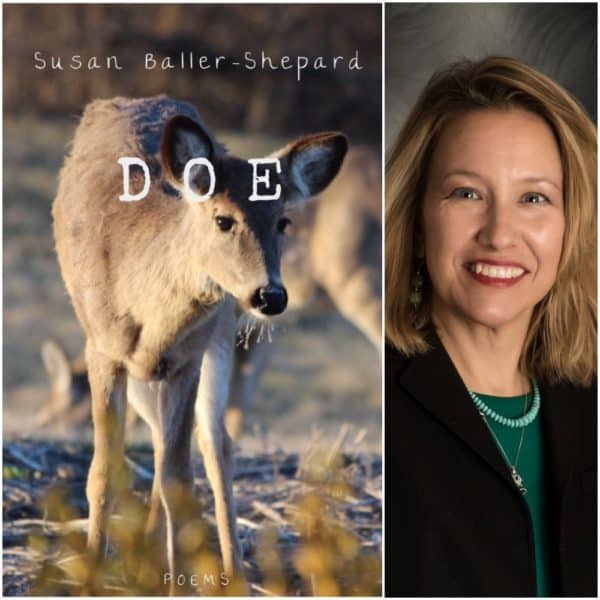 Many of Susan’s poems feature the nature world, which she loves, but they explore and reveal the human experience, from a uniquely female lens. In a few lines, Susan Baller-Shepard’s poems tell stories so personal we will recognize them as our own. Stories of love and longing, of unfinished adolescence, of wrestling with death. In a world intent on selling us ways to plaster over our vulnerability, Baller-Shepard’s poems do the opposite. By stripping away the pretense, she does nothing less than help us find our soul. Order it from Finishing Line Press. Really, go ahead and order it! In light of the book’s title, I restrained myself from calling Susan a “dear” friend, although she is. Here’s a picture of us from 2014, at the Festival of Faith & Writing. So happy to be together, basking in words! 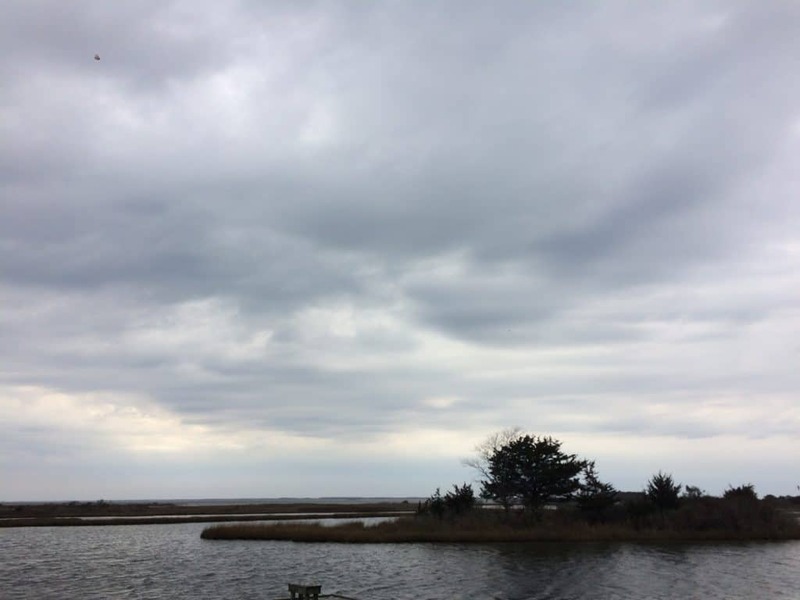 If, like me, you read “Misty of Chincoteague” as a child, you may have a soft spot for the famous wild ponies who live on the barrier islands off the Virginia shore. 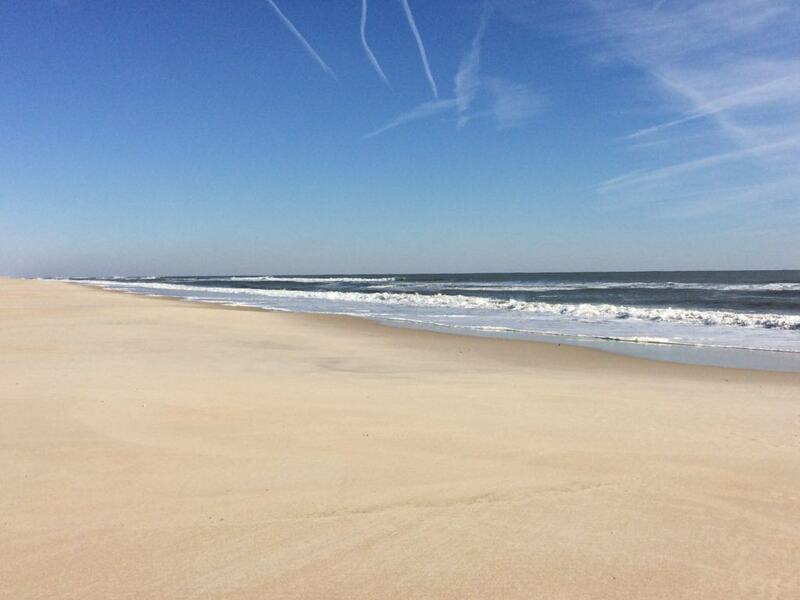 This week, while I was on a clergy retreat in Ocean City, Maryland, I visited Assateague Island. The ponies were on my mind because at the tail end of December I read this news story about the ponies and “swamp cancer.” The disease comes in through their hooves because they spend a lot of time in salt marsh. 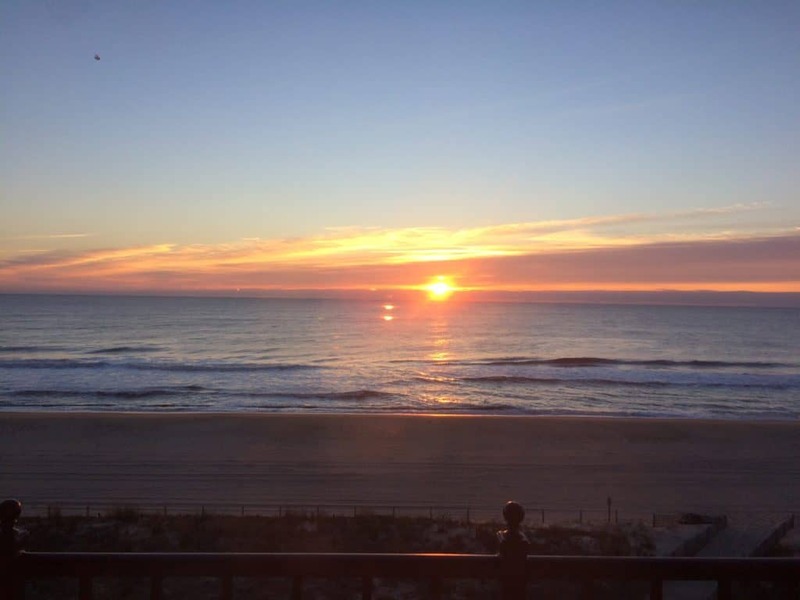 Climate change is making the pathogens common to warmer waters move further up the coast. I did see three ponies. I was surprised and happy to see how large they were, and how healthy looking. I also walked long stretches of beach, hoping to spot a Snowy Owl. No luck. Oh well, I have something to keep looking for. What a privilege and joy to have this time of renewal! I especially treasured it since next week I will dive into the revisions of my book. I’ll be going away to a monastery for a week to begin that process, so I can be steeped in silence and prayer. I appreciate your prayers of support. I was delighted that the folks at Christianity Today asked me to serve as a judge for this year’s book awards, in the category of CT Women. I got to read four excellent books, and write up my thoughts on each one. The guiding light for the awards is this statement: “Our picks for the books most likely to shape evangelical life, thought, and culture.” I know from experience how valuable it is for an author’s work to be recognized in this way. The word privilege is increasingly important in our national conversation about racial justice. For people of faith, the word ripples with significance because we worship the God who is Love, meaning love equally for all people. Amy Julia Becker writes from her context as an affluent white woman who could live comfortably within the white picket fences of suburbia. Yet she chooses to broaden her definition of neighbor. Told with grace and humility, this memoir will be a helpful companion to those who are wrestling with similar questions about privilege. This memoir straddles a fault line that divides our society regarding the termination of pregnancy. Knowing that her fetus would not survive delivery, Sarah Williams nevertheless chose to carry her pregnancy to term. Beautifully told, this very personal story brings human context to what is one of the most divisive issues of our time. It will be obvious to any reader that each of these books comes straight from the author’s heart. Congratulations to them, and to all the other authors who created such fine books. The world is a better place for their efforts. See the whole list here. If you’re Christmas shopping, remember that books make fine gifts! 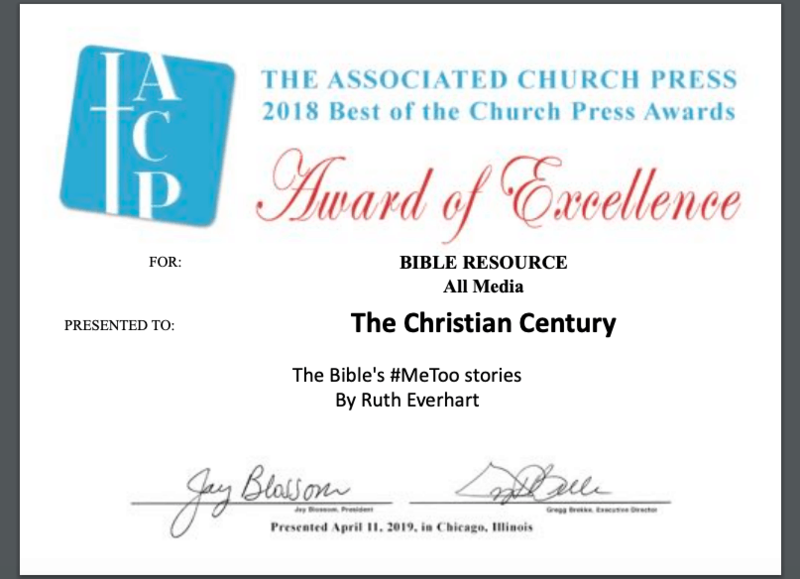 Exactly a year ago I wrote a cover story for Christian Century called A Pastor’s #MeToo Story. The response to that article convinced me that the subject matter needed more exploration. 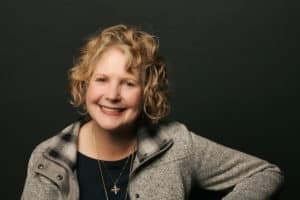 As a clergywoman and author — and also a survivor of sexual assault and clergy sexual misconduct — I was not only positioned to respond, but felt called to do so. InterVarsity Press will publish the book in the Fall of 2019, so for the past three months I’ve been on hiatus from my position as pastor to write it. I’m thrilled to tell you that the first draft is done and we’ve settled on a name (it’s a doozy) . . .
I’ll reveal the cover when we have one. Meanwhile, if the topic is of interest to you, I hope you’ll consider joining my book launch team. You can contact me here or send a message on my Facebook Author page. I have learned so much from my readers. Thank you for your interest and support of this important topic!